The Los Angeles Kings have activated forward Ilya Kovalchuk from the injured reserve list and have placed defenseman Dion Phaneuf on the injured reserve list (retroactive to December 11), Kings Vice President and General Manager Rob Blake announced on December 22. 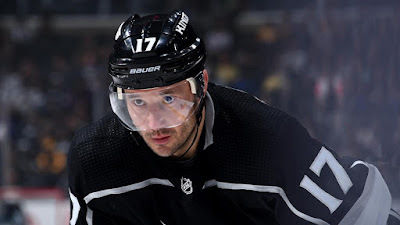 Kovalchuk, who is in his first season with the Kings, has missed the last 10 games due to injury. He underwent an Ankle Bursectomy on December 2. In 25 games this season, he has 14 points (5-9=14) and six penalty minutes. Phaneuf suffered an upper-body injury during the Kings-Sabres game at Buffalo on December 11. He has missed the club’s last three games. In 32 games this season, Phaneuf has one point (an assist) and 23 penalty minutes. Earlier this season he played in his 1,000th career regular season game, an NHL milestone. The Kings began a two-game road trip on December 22 in San Jose beginning at 1 p.m. The Kings-Sharks contest will be broadcast on NBCSN and the LA Kings Audio Network on iHeartRadio. The road trip continues/concludes on December 23 in Las Vegas as the Kings face the Golden Knights at 5 p.m. That game will be broadcast on FOX Sports West, the FOX Sports App and the LA Kings Audio Network on iHeartRadio.